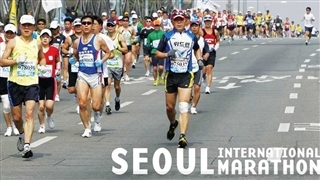 The Apricot Blossom Festival (Gwangyang Maehwa) is held, once a year, since 1997 in the first half of March. The celebrations are specified on the Apricot fruit and its products. 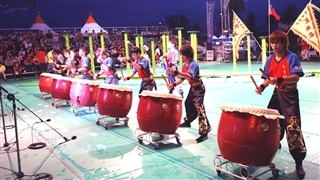 It take place in Maehwa, a village in South Jeolla region. 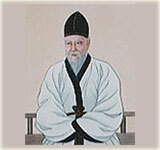 Maehwa means in the Korean language apricot. 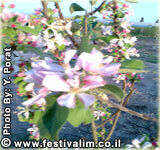 The festival starts when the village plantations reach the climax of its blossom. 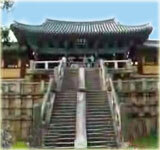 The plantations, 83 acres size, are located near Baegunsan Mountain. 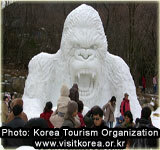 Its outstanding white beauty of the blossom is emphasized on the background of the mountain.